On the heels of recent New York City 911 dispatch outages, public confidence in New York state information technology infrastructure was dealt another blow yesterday. 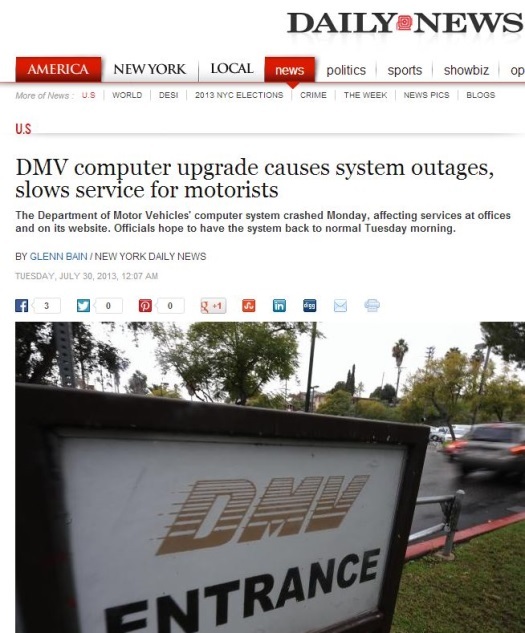 As reported by the NY Daily News and others, the statewide Department of Motor Vehicles system ("a mainframe") had been updated on Sunday. 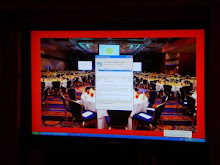 Something unspecified went wrong, and the public DMV site as well as -- apparently -- computers in DMV offices, went down. The outage lasted at least until sometime the following day. The Glitch Reporter has the usual obvious questions: (1) what happened with pre-rollout testing? (2) what failed in the software implementation that was released; (3) why aren't the public's systems more resilient when failures of this sort occur?